Got me thinking that the absolute best result would be if BMD adopted the FZ mount in future cameras. FZ mount is what is used in the Sony F3/F5/F55, which I’ve used and is an absolutely wonderful mount! You can adapt it to anything else, for instance I’ve got a rock solid Nikon F mount on my Sony PMW-F3. So it works, and FZ is an already popular mount used by many. But Sony will never let BMD use FZ mount. 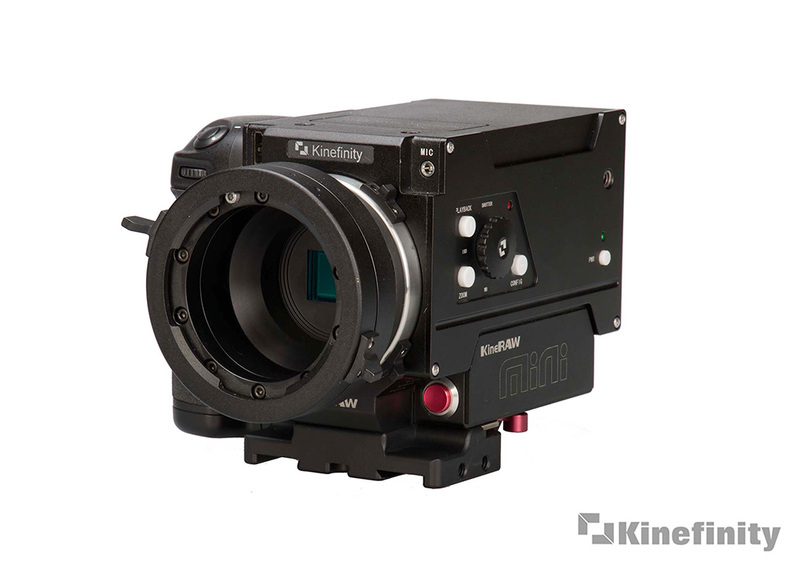 Thus the very nearly almost as good option is to talk with Kinefinity and see if they’d open up KineMount for everybody to use (in many ways KineMount is like Sony FZ mount, and kinda better… as Kinefinity have a focal reducer option! Yay). As if that happened it would be tremendously good news for both companies, and a massive result to help the indy / hobbyist / low / medium budget film industry. Be great if Kinefinity and BMD could talk together with each other to create a universal mount system which can go onto dominate the film industry in the future. As no longer would consumers have to choose between buying a Canon EF mount model or the PL version (such as happens with the C300, BMPC4K, URSA, and URSA Mini), they can have both! It would fit very well with BMD’s corporate philosophy of have having an open system rather than a closed ecosystem you’re forced to buy into over and over again (hello RED!). So BMD appears to support open systems (such as using SSDs or CFast cards) rather than vendor lock in (like RED does!!). And this would obviously benefit Kinefinity in increasing their awareness, thus it appears to be in everybody’s best interests to make KineMount an open mount. KineMount already has adapters read to go, and even a focal reducer! (which doesn’t even exist at all for Sony FZ mount. Being able to gain a stop of light with the KineEnhancer, and shoot effectively with a “full frame” camera, certainly helps make KineMount even more attractive over Sony FZ mount) So Blackmagic Design wouldn’t need to make adapters if they don’t want to (plus others, such as AJA and Sony already leave making adapters up to 3rd parties to do that). I *love* that Blackmagic Design provides lots of camera choice (BMCC is available in *three* different mounts! PL/MFT/EF), but it would be so much better if the buyer didn’t have to choose and could just do all of it with the one camera! And it means less inventory costs for BMD and the camera stores (because they’ll only need to carry one type of each camera model, & not up to 3 versions of it! ), and less design costs for BMD (probably, as doesn’t need to be done 3x over for each camera version). Obviously to make KineMount a universal mount they’d need to drop the Kinefinity branding (otherwise other brands will find it hard to join in behind it), instead of calling it KineMount perhaps just simply call it “K mount” (although that usually refers to Pentax’s DSLR mount, so “CK Mount” maybe for “Cinema K mount”??). What a dream world this would be to live in!! With so many choices and possibilities. Hopefully if these two companies unite on a common open standard then you’d see other smaller manufacturers like Apertus & AJA follow suit with KineMount on their future cameras. And if a big player like Nikon or JVC entered the large sensor cinema market then there would be a universal mount they could consider adapting! JVC for instance would have no other option, unless they chose EF *or* PL (or created their own sub mount from scratch!). JVC does already have the GY-LS300 with a Micro Four Thirds mount which is kinda a “universal mount”, but the JVC GY-LS300 camera is not aimed at the high end, and Micro Four Thirds with adapters is not rock solid like Sony FZ or KineMount are. And while Nikon could use their Nikon F mount if they ever entered the cinema market, this would cripple their sales as it wouldn’t be PL for the higher end (unless they make two models like the Canon C300… again, forcing the consumer to choose between the two, rather than giving them flexibility) and at the indy / low budget level many people have unfortunately gone with Canon EF lenses instead and would feel resistance to changing mount to Nikon. But this way Nikon could offer a Nikon F mount cinema camera (with a KineMount underneath) with a PL adapter, which then additionally gives people the freedom of choice to use Canon EF lenses with a 3rd Party adapter or any other lenses their heart so desires. Hope Kinefinity and Blackmagic Design read this and start talking together about making a joint open standard for cinema camera mounts! Look at how quickly Canon EF mount become popular and an almost “standard” with many low / mid range cinema cameras! (such as Varicam LT / Arri Alexa Mini / BMPC4K / BMCC EF / URSA / URSA Mini / Axiom / etc ). If a rock solid sub mount for cinema usage, such as KineMount, was set up as an open standard and adopted by a few manufacturers then I think it won’t take many years at all before it gets to the common usage level.